One Florida man has lost his life following a deadly car accident with a driver of a Lamborghini. Eighty-two-year-old J. Gerald Smith was crossing an intersection when Roger Wittenberns struck his car. Wittenberns was driving a Lamborghini at a high speed rate, and he ran into the front of Smith’s car when Smith was stopped at an intersection. Smith’s widow, Eloisa Smith, is suing Wittenberns in a wrongful death claim. On the night of the accident, Wittenberns and his girlfriend, Patty Ann McQuiggin, went out for drinks and dinner. Afterwards, the two got into their separate cars – McQuiggin was driving a Porsche and Wittenberns was in his Lamborghini – and decided to race each other. Despite the fact that the road’s speed limit was 35 miles per hour, police say the two were racing at high rates of speed. J. Gerald Smith was at a stop sign, attempting to cross an intersection when his car was struck. Wittenberns survived the crash but he sustained major injuries. Eloisa Smith filed suit against Wittenberns, stating he was negligent in driving his motor vehicle, and he was driving too fast and under the influence of alcohol. Police, too, agree that high speeds and alcohol consumption caused the accident, but they have not made any arrests as the investigation continues. Mrs. Smith is asking for $15,000 to cover funeral expenses and lost wages. Wittenberns filed an answer to the complaint, claiming he was not to blame for the crash. Rather, he pointed blame at the City of Delray, the Florida Department of Transportation, a construction company, and J. Gerald Smith himself. According to Wittenberns, a construction company (whose name will be supplied later) erected a tarp around some fencing, which blocked the view in the intersection. He feels that Mr. Smith was negligent in that he failed to observe traffic before attempting to cross the intersection. Other citizens of Delray that live near the intersection agree it is a dangerous one; many have asked both the city and the state to install a stoplight and get rid of the stop sign. Accidents like the one described above can happen in an instant. One moment you’re waiting to cross an intersection, and the next, your life is changed forever. Your family is ripped apart, and you’re not sure how you’ll pay for funeral expenses and still make ends meet. It’s especially difficult if you’ve lost a family member whose paycheck helped contribute to the mortgage and bills. 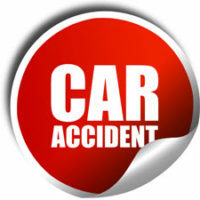 An experienced car accident attorney may be able to provide assistance in your dire situation. The attorneys at Gillette Law, P.A., have years of experience helping people put their lives back together after a tragic automobile accident. With offices in Florida and Georgia, we make ourselves available to offer comfort to you while we fight for justice for you or your loved one. Call us today to see how we can help.